Thirsty Pilgrim: Giddyup Roundup: Cans, Sessions, Notch, and Senne. Giddyup Roundup: Cans, Sessions, Notch, and Senne. Cans and session beers: Financial news site The Street decides those craft trends are worth a brief article featuring Chris Lohring of Notch and Joe Tucker of Ratebeer. My two new beers have been well received, especially my Pils, and I’m barely keeping up with initial demand. Just kicked-off my cask only series (one-off beers that only get packaged in cask), and first up is a Dark Mild. Could not have picked an more unfashionable beer style in the age of hop and alcohol. But, I am mucking up some conventional wisdom on where craft beer is headed. Amazing how many who are entrenched in the craft industry loathe what I am up to. Like I am calling their baby ugly, which based on the Black IPA tasting I did recently--it kind of is. On that note, I have discovered a whole new beer consumer that has been cultivated in the past 5-10 years. The insufferable 20-something beer snob born on rare, imperial, double and sour, and are as closed minded as a Bud drinker. Worse than a wine snob, and the craft beer industry created them. Glad I do not have them as a customer, I’d quit brewing. More on that in a blog post. Other than that, I’m [really digging] brewing again, experimenting left of the dial, and getting beer snobs in a tizzy about what constitutes good beer. People are getting it--especially pubs, and the craft beer consumer who is getting gray on top. So there's your report from Boston. 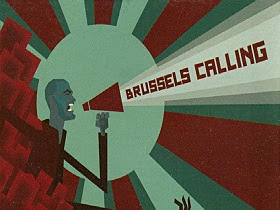 Ready for a report from Brussels? 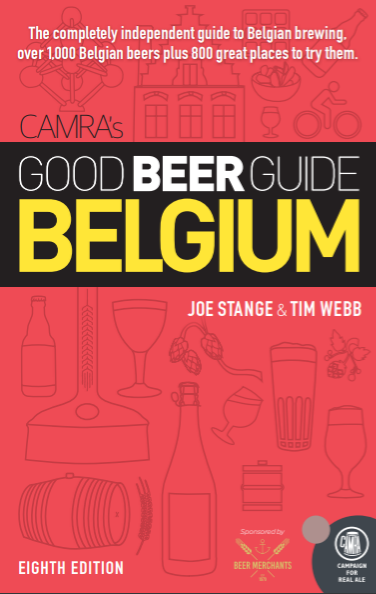 Here's the word from Yvan at Brasserie de la Senne on the beer called Brussels Calling... It won't join the regular lineup but it might make yearly appearances. Brussels Calling was our first attempt to make a beer in the new Brussels facilities, on December 22, 2010. Of course, we couldn't have claim to make a Taras or a Zinne from the first batch, so, this is a new recipe but very close to Taras. Just a bit more malt and a different hop (Hallertaü Hersbrueker) for the aroma. It's a 5% abv blond ale. It is not a new beer in our [year-round] range: it wouldn't make sense because the proximity with Taras. It will become our anniversary beer, the last batch we'll be brewing every year, to be drunk in Spring, most probably with a different recipe each time. The guy on the label is our friend Herbert Celis (no relation with another Celis...), from the Brussels' band Frown-I-Brown. He has a song on Taras Boulba and another on Zinnebir. So, this is a tribute to his support. It is also a tribute to London Calling from the Clash, and marks our new start in our beloved city. I haven't had the chance to try it yet. It seems they won't be exporting it to Costa Rica, go figure. Reports, anyone? I hope Chris and Notch success here in Boston, we need more tasty low ABV options. As a 20-something craft beer drinker, those snobs he mentions are among my friends. I've tried to convince them of the virtues of subtlety and low alcohol, but he's right, it's like calling their baby ugly. I was really stunned by how offended one friend was by the existence of Stone Levitation. I had the chance to taste the Brussels Calling (bought two crates directly from the guys at the brewery!) so I can give you my (humble) opinion. It is indeed quite similar to the Taras Boulba, but yet quite different! It is a light, dry, bitter, refreshing blonde, but the big difference for me is that it lacks the 'floral' qualities of the Taras (but it still has a delicate fruity character). Not as good as the Taras in my opinion, but still way b(e/i)tter than a lot of belgian blond ales. I'm looking forward to tasting the Molenbeek-brewed Taras to compare! Toine: Thanks for the report. It will be exciting to see how the beers evolve as Yvan and Bernard get settled in, put their new house yeast to work, start playing with more lambic blends, and so on... Lots to look forward to there.